3 Mini Strategies to get your Facebook Page More "Likes"
Before I begin with three strategies to get your Facebook Page more likes there is a major caveat that must be addressed. If you are not actively driving traffic to your Facebook Page the following tips will not be effective. When creating your overall Facebook marketing strategy keep in mind that you have to promote your page using various mediums like Facebook Advertising or including the link in your email marketing. If you need help with your social media marketing strategy let us help! 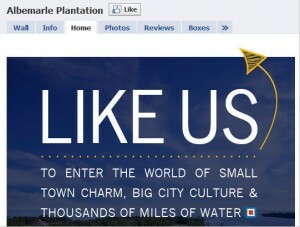 Like-gating is an easy way to direct users to “like” your page. 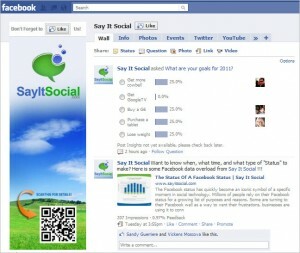 You are enticing them with a private message that only “Likers” of the page will be able to see. The following example is a great call to action. 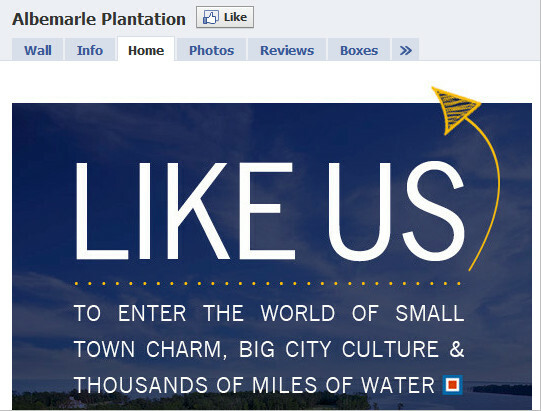 Unless you like their page you will not be able to “Enter the world of small town charm…” You will still be able to view other tabs on the page but by Like-Gating you are creating a specific call to action that will give the user access to this private message. 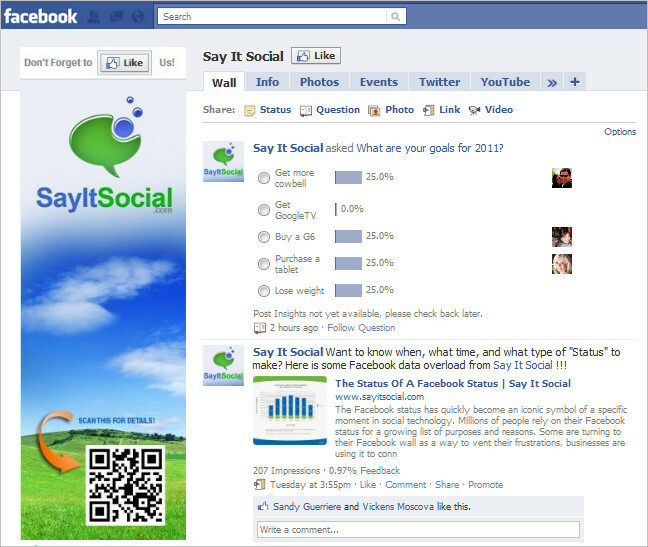 Our analysis indicates a 50% increase in the number of likes a page gets when using this tactic. Your profile image is your opportunity to brand your company/product but it is also a space in which a subtle “Like Our Page” reminder can be placed. The main area of the profile should concentrate on your brand but by inserting a small area at the top asking users to “Like Your Page.” It is a passive call to action unlike like-gating which has a strong call to action and a reward. This is another strategy in which you manipulate your profile image. Instead of asking users to like your page you are asking them to “Suggest to Friends.” This is the premise behind word-of-mouth marketing and one of the most successful forms of Facebook Page marketing. As the page owner you just plant the “suggestion seed” and let users do the work. To supplement this passive ask you can post status updates asking users to “Suggest to Friends” and inserting the call to action in your profile is a double dose of strategy. The aforementioned strategies are just a few small additions to any fan page that can yield big returns. While these mini strategies: like-gating, manipulating your profile image, and suggesting to friends may help you increase your number of “likes” it is your engagement with your fans that will keep them there. Remember that fan pages are not static, they are living, breathing communities that reflect your company’s mission and customer base.